Arkansas’ brand “The Natural State” is quite fitting. Scenic splendor abounds with more than 600,000 acres of lakes, 9,000 miles of rivers and streams, and mountains covering half of the state. Arkansas is proud of its natural beauty and puts it on display at more than 30 state parks. Whatever outdoor interest guests might fancy, they’ll enjoy the experience in an Arkansas state park. 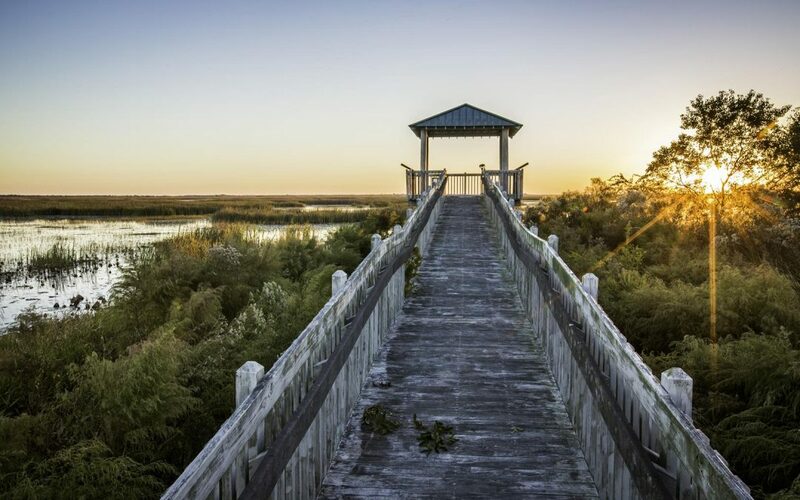 From boating, fishing and swimming to biking, hiking and equestrian trails, your playground awaits. 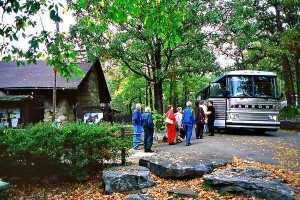 For groups, three of the state parks have a lodge and 12 have cabins. Soon to become the fourth park with a lodge is Queen Wilhelmina State Park, where renovations to both the lodge and restaurant are scheduled for completion the latter part of 2013. 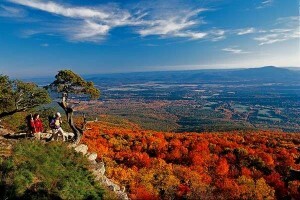 Located on Rich Mountain, Arkansas’ second highest peak, and 13 miles west of Mena, the park has interpretative programs that showcase the area’s unique fauna and flora. 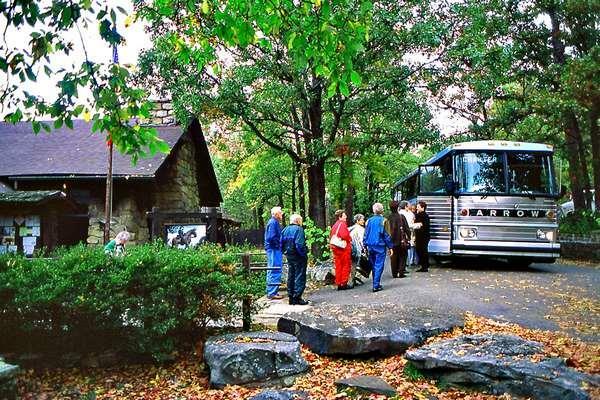 Located in the town of Paris, Mount Magazine State Park is a six-hour or less drive from Little Rock, Dallas, Shreveport, Tulsa, Oklahoma City, Kansas City and Memphis. Arkansas’ high-point state park (at 2,753 feet) provides absolute natural beauty with abundant recreational opportunities. From sightseeing to extreme sports, Mount Magazine has it all. The park’s centerpiece is The Lodge at Mount Magazine. The recently renovated facility is perfect for groups, including tour, reunion, religious and corporate. Sixty guest rooms each provide a spectacular view and amenities like high-speed Internet. The Skycrest Restaurant serves three meals daily and provides banquet meals in the meeting and conference space. 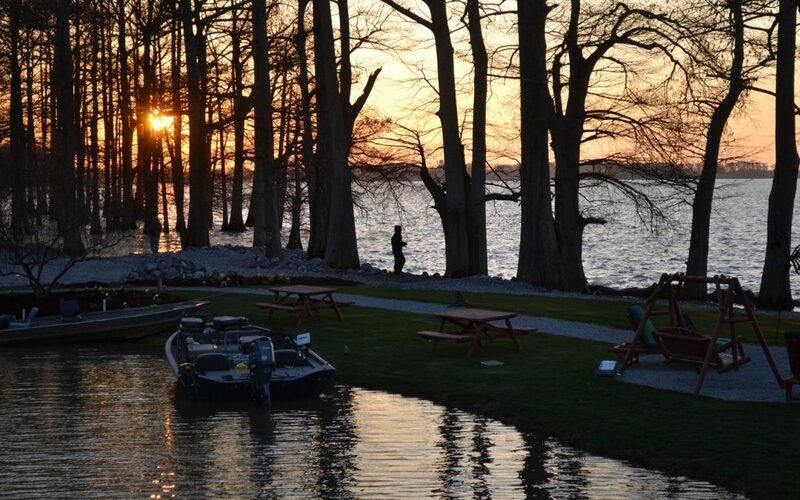 DeGray Lake Resort State Park is Arkansas’ only resort state park. With 94 rooms and the Shoreline Restaurant, the lodge appeals to groups of all types. Park interpreters provide guided hikes, sunset cruises and snorkeling trips in-season and eagle watch cruises on the lake from September-February. An 18-hole championship golf course is located on site. The two-night “DeGray Resort Lights & Lake” December package combines nature and a visit to historic Hot Springs, only 21miles away. The plan features a guided lake tour and eagle watch, two dinners and two breakfasts, and a trip to downtown Hot Springs for shopping and sightseeing. No visit is complete without a stop at Hot Springs National Park. Catch The Magic & Comedy of Maxwell Blade at the Maxwell Blade Magic Lantern Theatre. Also visit the Gangster Museum of America across from Bathhouse Row and tour Garvan Woodland Gardens and the Holiday Lights presentation. Arkansas’ first state park, Petit Jean State Park, and the legendary mountain where it is located are historic in their own right. They are named after the young lady who tragically lost her life as a stowaway following her lover on his New World exploring expedition. The park and its focal point, the Mather Lodge, began construction in 1933 as part of Franklin D. Roosevelt’s New Deal and Civilian Conservation Corps. 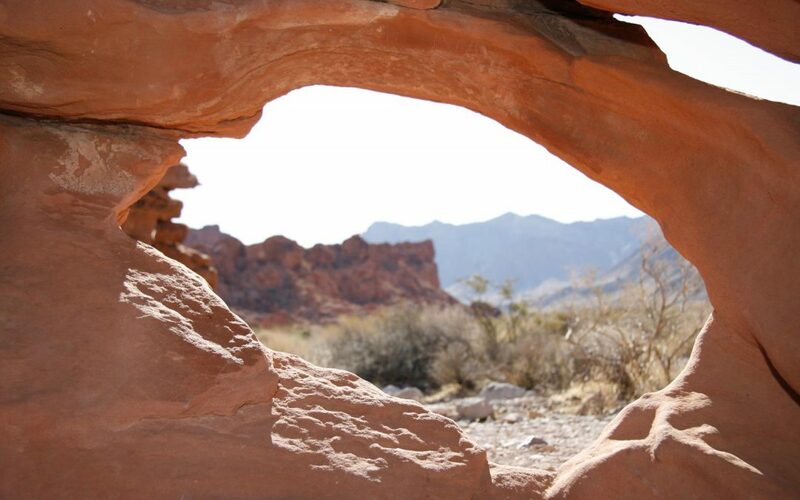 The lodge features 24 guest rooms and a restaurant, both providing dramatic views of Cedar Creek Canyon. Cedar Falls, a 95-foot waterfall, is a must see, while 100-acre Lake Bailey offers fishing, kayaking and pedal boating. Park interpreters offer numerous programs highlighting the nature and history of the park that started what is Arkansas’ state parks system. The Natural State has more than beauty to welcome guests. There’s history, art and plenty of fun in the heart of Arkansas, the Little Rock area. 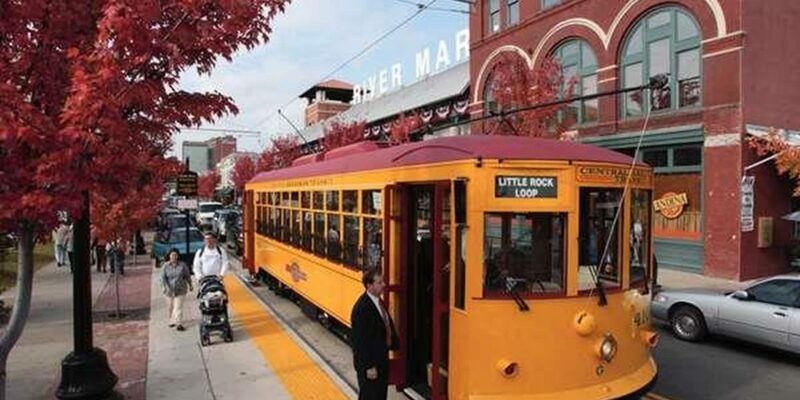 A good place to begin is the North Little Rock Visitors Bureau “Concierge” for an itinerary that’s designed specifically for your group. Numerous options are available in North Little Rock. Along the riverfront the Arkansas Inland Maritime Museum/USS Razorback features guided tours of the historic ship, along with large exhibits and a theater. Close by is the Arkansas Queen Riverboat, a historic paddle wheeler with sightseeing and dinner cruises. If you are a movie fan, you might recognize The Old Mill at T. R. Pugh Memorial Park. With an appearance in Gone With the Wind, the water-powered gristmill is a perfect photo opportunity. To round out a day of heritage and history in North Little Rock, be certain to include the National Guard Museum, Arkansas Sports Hall of Fame Museum and the 1890s military installation Fort Roots. Tuesday evenings come alive when you become part of the popular “Tales From the South,” a unique radio show featuring storytelling, Southern style. Every Tuesday the Starving Artist Cafe opens its doors at 5 p.m. and dinner is served from 5 to 7. There’s always music, and the first of three scheduled storytellers begins at 7. The show is broadcast later on World Radio Network. The year was 1957 and it was the beginning of another school year at Little Rock’s Central High School. However, it was more than a constitutional struggle when the Little Rock Board of Education decided to gradually integrate the city’s schools. Turning ordered desegregation into violence, Gov. Faubus ordered the Arkansas National Guard to prevent the entrance of African-American students to the high school. President Eisenhower followed by ordering the 101st Airborne Division to Little Rock. A large media presence in these early days of television broadcast the events across the nation. The National Park Service operates the Little Rock Central High School National Historic Site and Visitors Center. Although the original building is still an operational high school, tours can be arranged by appointment. 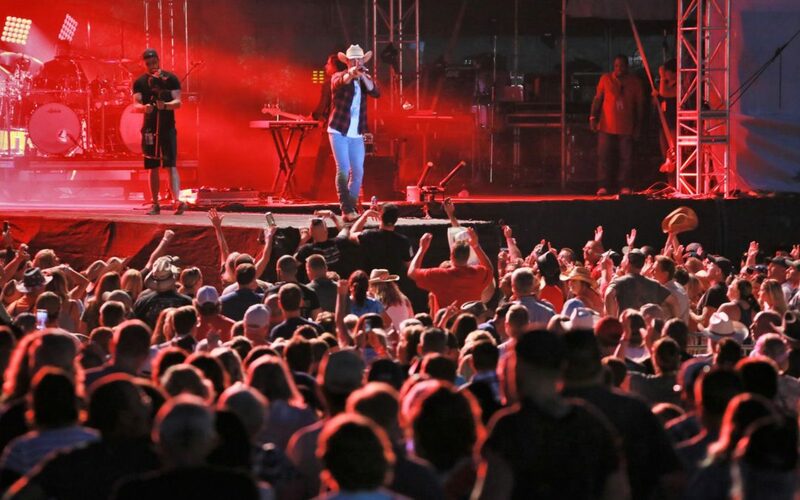 There are many other attractions in Little Rock, including the Mosaic Templars Cultural Center, Heifer Village, Arkansas State Capitol, Old State House Museum and Historic Arkansas Museum. The Arkansas Arts Center features a world-class collection in addition to live theater, films and dining. Sounds like you might need to plan an extra day, or two.